Creating believable characters is hard and showing how they change emotionally during the course of the story, harder still. Sometimes I feel like I need a degree in psychology to get it right. In my last two blog posts I discussed character arcs, also known as the internal journey, or in the vernacular, emotional baggage. We all have it, but often it’s human nature to bury our heads in the sand and not think about it too much. However, examining our own inner psyche and the journey we have made through life, may help provide us with a better understanding of the characters we create. One of the first things I learned about story structure was that every character should have a goal, and this in itself is a reflection of the human condition. Psychologist Abraham Maslow describes humans as “wanting animals”. As soon as we get one thing, we move on to wanting something else. To show how we prioritise these different wants, he developed the Hierarchy of Need. At the bottom is the basic need for food, shelter and safety, we then move on to want love, self-respect and finally, self-actualisation. In character-driven fiction, it is these latter needs that often form part of a character’s inner journey whilst action movies may focus on more basic needs, such as safety. Whether a story is character or plot driven, our characters will face obstacles which will force them to make decisions. But sometimes it’s difficult to know which path our heroines and heroes should take. Whatever they choose to do, it must be believable and consistent with the background we have given them. That’s when it can be helpful to draw on personal eperiences. At birth, inherited DNA aside, we are pretty much a blank canvas. It is what happens next that creates character such as parenting, upbringing, schooling etc. All these factors will influence the type of person we become, how we respond to adversity and the decisions we make. Our characters need to evolve in the same way. My favourite TV programme at the moment is First Dates where single people of all ages and background are looking for love. Some talk about their parent’s bitter divorce, a cheating ex, or tragically, a loved one who has died. These experiences have made them reluctant to open their hearts because they fear being hurt again and to love makes us vulnerable. If we can similarly understand our own vulnerabilities and where they come from, it may help make us become better writers and in turn, create believable characters. It could almost be a line from a writing craft book. 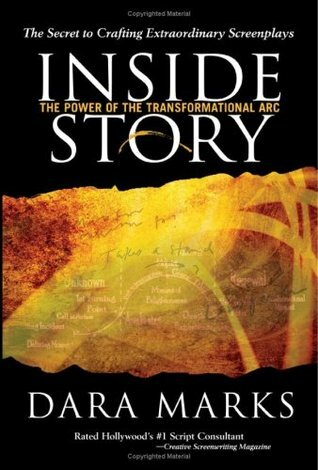 Last week I talked about my difficulty in coming to grips with character arcs, so this time around decided to share my thoughts on the book Inside Story: The Power of the Transformational Arc by Dara Marks, one of the top script consultants in the film industry. I have recently completed the first draft of a new WIP, and my fab crit partners (*waves* to The 22s) pointed out that my heroine’s character arc was off. This immediately got me racing to the cyber bookshelves in search of both information and inspiration. Goal, Motivation and Conflict by Debra Dixon: (Another) Review. I know, I know, this is a concept that is discussed time and time again! But the more I learn about writing, the more I understand what this simple plan can bring to a novel. Goal, Motivation and Conflict (GMC) by Debra Dixon was the first writing craft book I bought, and now having read several other excellent books, this is still the one I repeatedly come back to. Why? Because for my easily confused, pantser brain, the message is simple. A character wants a goal, because he/she is motivated but conflict stands in his/her way. External: Dorothy wants to go home, because Aunt Em is sick, but the wicked witch stands in her way. Internal: She wants to find a place where she’s happy (think Somewhere Over The Rainbow), because she’s miserable and always in trouble, but she doesn’t know what she really wants. As a pantser with aspirations of becoming a plotter, I’ve tried The Snowflake Method by Randy Ingermanson, The Six Stage Story Structure by Michael Hague, but my disorganised, right-brained mind, always rebels. These two GMC sentences, however, I can manage and never start a story without having them in place. It provides the essential who, what, why and why not. I have found this to be true. Not only for the story as a whole, but also at scene level. When I get stuck, it’s almost always because I’ve lost sight of what one or more characters want, and why. The book additionally covers black moments, scene development, query letters, turning points plus a breakdown of the movies Casablanca, The Client and Ladyhawke. Also included is an example of Miss Dixon’s own query letter for her book Mountain Mystic. Every writer has to find their own way, and different things click with different people, but this is the book that works for me. Debra Dixon is known in her own writing for pushing the boundaries of category romance, in particular with her book about a hit woman, Bad to the Bone (1996), which I recommend it to anyone wanting to write in this field. So you’ve mastered show not tell, motivational reaction units and kicked the passive voice to the kerb. You understand structure, have an interesting protagonist and strong conflict, but still it all feels – meh. With this in mind, I have recently been thinking about emotional resonance, what it is and how to accomplish it. Editor, Jessica Morrell, says resonance takes place when a story evokes a ‘responsive chord’ in a reader and that writers must place ‘stimuli’ in the story to trigger this response. The key to achieving this is creating characters readers can identify with and care about. The other week I watched Sleepless In Seattle, a film I have always enjoyed. But this time around I was watching as an aspiring writer with a more critical eye and a plot issue with the story immediately jumped out at me. When 8-year-old Jonah takes a flight to New York by himself, no-one contacts the airlines, police or Empire State Building staff to alert them that an unaccompanied minor child is headed their way. Instead, his father, Sam, hops on the next flight to NYC to search for Jonah by himself. Yet I found I was willing to overlook the issue because by then I cared about Sam and Jonah. We had witnessed Sam struggling as a single dad and grieving the loss of his wife. I was desperate for him to get together with Annie so Jonah could have a new mum. In Sleepless in Seattle, Sam’s struggle couldn’t get more personal. He’s lost the wife he loved to cancer and has to bring up his adorable 8-year-old son by himself. He doesn’t believe true love happens more than once in a lifetime and plans never to remarry. In winning the chance to love again with Annie, Sam is forced to abandon the belief that his first wife was his one and only true love. Emotional resonance is what gives a story the ‘X Factor’. In fact, writing teacher, Lindsey Barrett recommends looking to TV reality shows for inspiration. The contestants we root for, she tells us, are those who have overcome adversity to get there. Nothing encapsulates the hero’s journey more than the struggles of an Olympic athlete. A stand-out moment for me at the 2016 Paralympic Games was when Will Bayley won gold in table tennis having overcome cancer, arthrogryposis and many reconstruction operations. Over-joyed, he jumped onto the table to celebrate. When a stern-faced official marched over to present him with a yellow card for a code violation, he ignored the card and, still beaming from ear to ear, hugged her. And it is these emotive moments we need to re-create in our writing; the longing, the need, the fear, the joy, the elation and sheer desperation. This is not a ‘how to’ post, but more the sharing of experiences. AKA: Twitter for the Terrified. I am not of the social media generation and, in common with many writers, a confirmed introvert. But these days aspiring writers are advised to develop a social media platform before they are even published. The idea of putting myself out there on Twitter or Facebook terrified me. I recently received some feedback on my story pointing out I have too much on the nose dialogue. It’s a problem I’m aware of, but struggle to put right, so decided on a little more research. What is on-the-nose dialogue? It’s when a character says exactly what they mean and reveal his/her exact emotions. The result can be flat and lacking in depth. The reader is deprived of opportunity to interpret the underlying meaning and to be more actively engaged in the story. ‘Definitely. She’s a great dog,’ Leo replies. Here, both characters are laying their cards on the table and the dialogue feels stilted and boring, without emotion. The solution is to use subtext; the unspoken meaning beneath the words. In life people rarely say what they mean for many reasons. Maybe we don’t know how we feel, or believe it to be true at the time. Perhaps, admitting how we really feel will leave us open and vulnerable in some way. Back to Leo and his dog, here’s take two. I have him asking the PA to try and find the dog a good home with a large garden. ‘Like yours,’ the PA asks, one eyebrow raised. ‘I’m not keeping her,’ Leo responds immediately. At no point in the story does anyone tell Leo he’s going to keep the dog, and he continues to deny he wants to. But hopefully it’s clear that everyone, including the reader, know where the dog will end up. Leo’s continual refusal to admit he wants to keep the dog, hints at other issues simmering beneath the surface. He lost his parents and sister in a car accident aged 16. He doesn’t want any more attachments in his life because he’s worried about losing them too. So this was my attempt at using subtext, and I didn’t make a conscious effort, it just happened. In writing, some things seem to happen instinctively. The problem comes when it isn’t instinctive. Further on in the story, nearly all my emotional moments feature on the nose dialogue which I don’t seem able to put right. I kept hoping there might be a place for it at the end of a romance story, as surely to be together, the hero and heroine must both express how they really feel. But then I remember the movie Jerry Maguire. When Tom Cruise returns to get the girl, instead of ‘I love you, I’ll take you back,’ Renee Zellwegger responds with ‘You had me at hello,’ now one of the top 100 movie quotes. So, for me, it’s back to the drawing board….